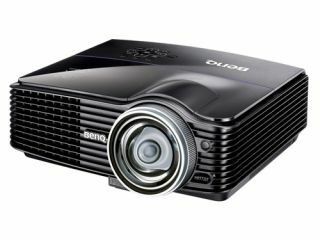 BenQ showed off its latest range of entry level, mid-range and high-end projectors today, and the company had some interesting thoughts on where projectors were heading in the near future. It seems that the imaging onus seems to be very much on short throw. Speaking to TechRadar, Ross Lye, Product and Marketing Manager for the UK, said about the technology: "Within five years, short throw will become standard throw. "We would anticipate all projectors within that time to use some sort of short throw technology." Alongside the W600, W1000 and W6000 series of projectors – all of which will be available October time – the company also spoke about its MP515 ST (short-throw), which has the boast of being the first short throw with zoom in the market, and can project an 80-inch image at just one metre away. The beauty of this when it comes to gaming is that you can now play things like the Wii behind the projector and not in front of it, which is highly annoying when you are bounding around like a loon. The short throw projector market is burgeoning at the moment, mostly within the gaming sector, and BenQ is proud that within this area it holds a 60 per cent market share in Europe.